Diaporthe-associated diseases such as stem canker, Phomopsis seed decay, and pod and stem blight continue to be an issue for soybean farmers in the north-central region. The causal fungi of these diseases survive in residue or in the soil for several years, infecting plants early in the season during periods of extended rainy weather. 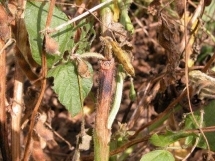 Symptoms typically show up much later in the season, often as dead plants found in patches in the field. In recent years, there have been challenges in managing the Diaporthe–associated diseases. First, these diseases form a complex and one or more species of Diaporthe (also previously known as Phomopsis) can be recovered from diseased soybean plants. Second, it is not clear if these pathogens are confined to specific soybean-producing regions of the United States. For example, Diaporthe caulivora (the pathogen that causes northern stem canker) and Diaporthe aspalathi (the pathogen that causes southern stem canker) were previously identified only in the northern and southern soybean producing regions of the U.S., respectively. However, in the 2000s, D. aspalathi was identified in the northern states of Illinois and Wisconsin. With checkoff support provided by the North Central Soybean Research Program and the South Dakota Soybean Research and Promotion Council, field crop pathologists from South Dakota, Wisconsin, Iowa, and Kentucky worked together to unravel the species of Diaporthe that causes stem canker and other related diseases in order to develop more effective and economical management strategies. Significant progress has been made in our understanding of the organisms that cause high impact diseases on soybean such as stem canker. Field sampling in 10 states of the north-central region has revealed that Diaporthe longicolla is the most common species associated with Diaporthe-associated diseases. 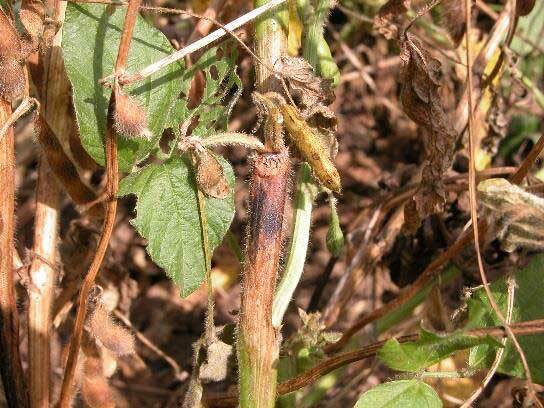 Generally, D. longicolla was considered to be the pathogen causing Phomopsis seed decay, but it now appears to be increasing as a stem pathogen in the north-central U.S, Additionally, it was found that D. aspalathi, the pathogen that causes southern stem canker, may be present in north-central states, where it was not previously reported. At this time, work is being conducted to determine the virulence — the disease-causing ability — of D. aspalathi, D. caulivora and D. longicolla on soybean cultivars that are representative of those grown in the north-central region. Although the identification and management of stem canker is similar regardless of which fungus is involved, we will now be able to identify soybean germplasm with resistance against the primary Diaporthe species causing disease in the region. Commercial soybean varieties vary in their susceptibility to stem canker or pod and stem blight, and some resistance is available. Planting a resistant variety is the foundation for managing Diaporthe-associated diseases. Based on the recent progress in identifying the main Diaporthe species causing disease, isolates representing D. aspalathi, D. caulivora, and D. longicolla are available that will assist soybean breeders in screening soybean germplasm against these pathogens. 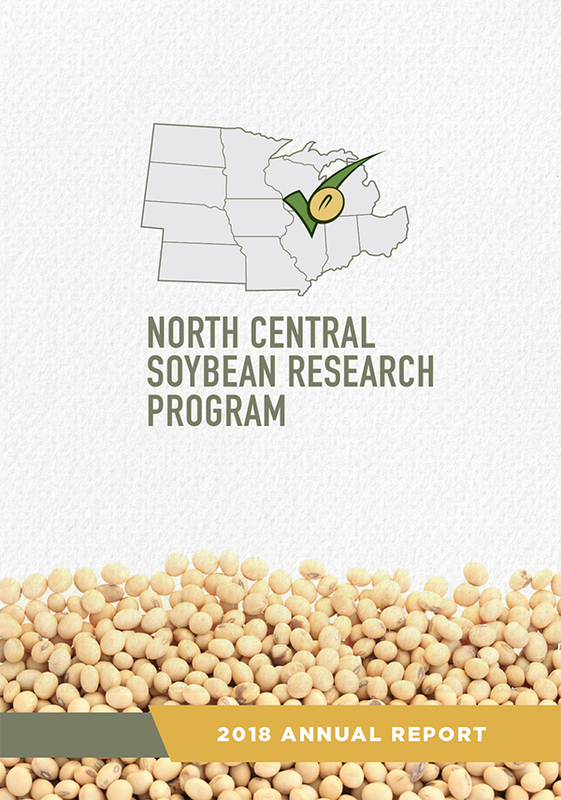 In order to be able to screen the soybean germplasm, we have tested inoculation methods and identified a standardized approach that soybean breeders and pathologists can now use for efficient screening. Over the past two field seasons, field trials in South Dakota and Wisconsin were conducted to determine the efficacy of fungicide treatments on Diaporthe-associated diseases.Treatments were applied both singly and in combinations, and included currently-labeled seed treatments, in-furrow fungicide applications, and foliar fungicides applied in the R3 and R5 growth stage. To date, no seed treatments were found to have strong efficacy against Diaporthe-associated diseases. 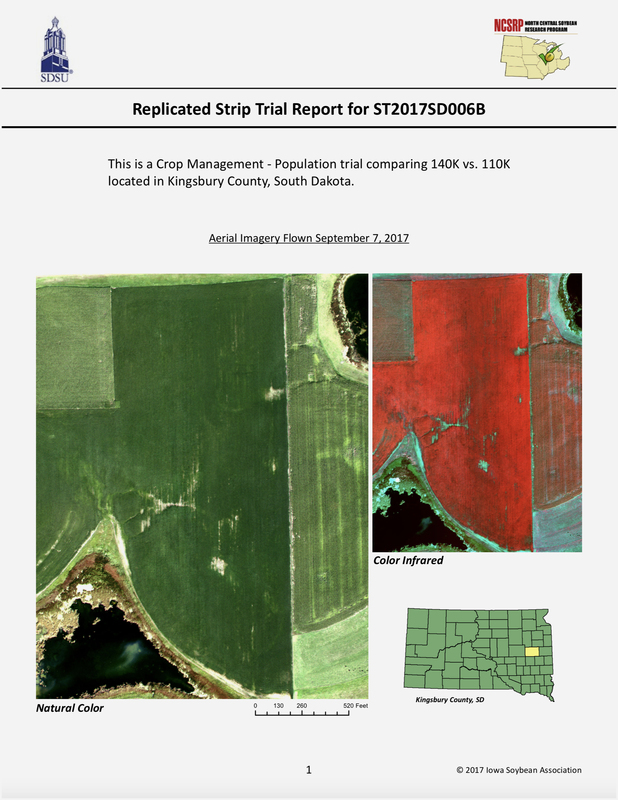 The most recent trial in South Dakota tested a combination of seed treatments and in-furrow fungicides against Diaporthe caulivora and D. longicolla. No significant differences in disease severity were observed among the treatments indicating that the seed treatments, in-furrow fungicides, or the combination of seed treatments and in-furrow fungicide, may not be effective. The next step will be to examine the timing of fungicide applications, and the use of fungicides in combination with resistant soybean varieties. In the meantime, resistant varieties of soybean will continue to be the primary basis of management for stem canker, pod and stem blight and related diseases. Several new resource materials for farmers and consultants have been developed as a result of this project. Please read or download the following full-color publications. Soybean Stem Zone Lines: Fact and Fiction - Zone lines are a sign of infection by Diaporthe species.